We had the pleasure of being visited by Factoría F5, the Barcelona-based coding school, who came to speak with our Operations team about life at OneRagtime. You can read the original article in Spanish here. Thank you to Factoría F5 for featuring us and sharing a day in the life in OneRagtime’s tech team! We make our way into the OneRagtime office, located in the Depot Lab coworking. 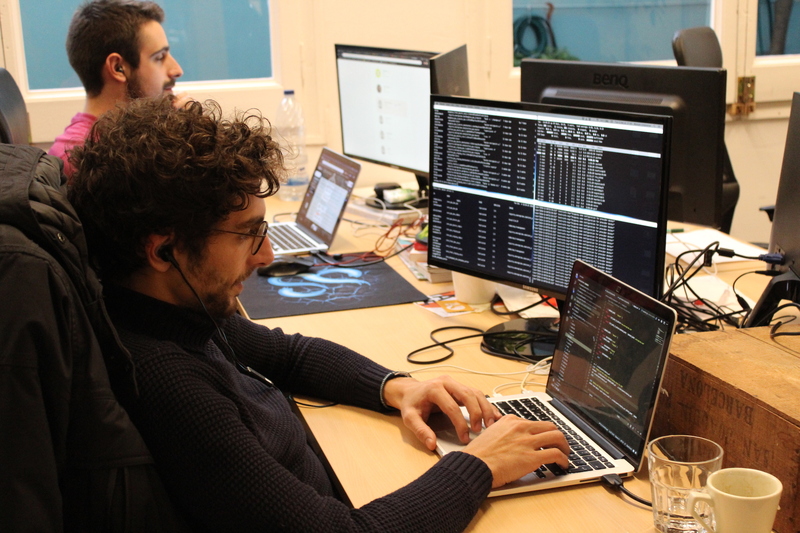 Their young workers welcome us with a smile and introduce us to the members of the team; among them, a coder who spent 7 months at Factoría F5 and who is now transformed into a Frontend Craftsman, Mateo Vasquez. What do you do at OneRagtime? I work as a front-end developer in two of the three projects we have. One is the Core, our internal platform, and the other is the platform for investors. I’m usually one of the first to arrive at the coworking (he laughs), I like to leave home with plenty of time. I make myself a coffee, turn on the computer and open the task panel to see how I will organise my day, and I get to work. It’s a really pleasant atmosphere and… on Fridays we go out to eat together! There are no barriers in the way OneRagtime works. If I need something I ask a colleague right away, and I know who to ask. First via Slack to avoid distracting them, and if it is in relation to “Business” subjects with the team in Paris, I contact them on Slack or call them (at the moment in English, but I’m considering learning French). That is a very young environment where you don’t feel the seriousness of a classic company, it’s super dynamic. I see myself outside Spain. I would like to gain at least 2-3 years of experience in Barcelona and then go abroad. What has helped you the most from studying at Factoría F5? Above all, self-study and the autonomy they encouraged from day one. I want to face the problems myself, try to understand them first and, if I get stuck, ask. The result has been positive and in most cases I have been able to solve the problems on my own. What made OneRagtime notice Mateo? We talked to Romain Untereiner, Tech Catalyst at OneRagtime and team manager in Barcelona. How did you meet Factoría F5? Through Deborah, the owner of the coworking we work in. We told her that we were looking for developers and she introduced us to the Factoría F5 team. Three days later we were participating in their Hiring Day. How was the Hiring Day experience? Well, I came with no idea what I was going to find; I’ve participated in many events like this with other programming schools and sometimes I was left with the feeling that, because of such short course durations, the candidates lacked a deep understanding of the concepts. 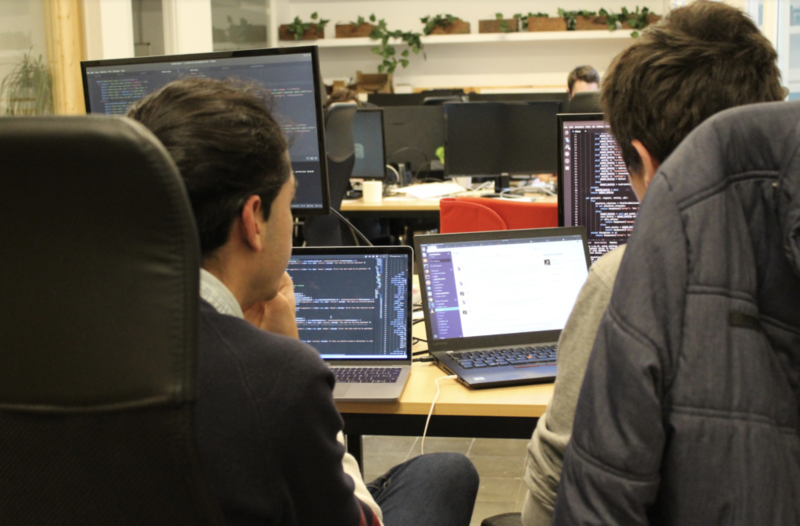 But when I began to meet the Factoría F5 coders I realised that there were people who had already begun to specialise in a particular field. I was also struck by the diversity of profiles, very different to profiles with classical training as they are profiles that are out of “the norm” and that gives them a differential value. I also liked that people knew what they wanted and were looking for and that differentiates it from many hiring days in which people simply look for a job without having a clear idea of what they want to do. Most of Factoría F5’s profiles answered with a very precise idea. Why Mateo? What convinced you the most about his profile? His motivation and maturity; he knew what he wanted and above all what he didn’t want. He wanted to work, he wanted to learn. Also, I had a good feeling about him, it was evident that he was a self-starter despite being only 19 years old. He had well-developed, transversal skills and wasn’t afraid to ask questions. What growth expectations do you have? From our point of view, the idea is for him to be very competent in the front-end and then work more and more on the design elements because we don’t have that part of the product covered… and seeing as he loves it and has a good feel for it, he could soon be in charge of the design and the UX. We like our workers to develop what they like best. We lack an experienced front-end, but Mateo has the potential to take that position and manage the front-end and responsive team’s tasks. In the future… would you bet on more profiles like Mateo? Yes, on a personal level I would bet 100%. You don’t need a formal education to know how to program. I have a lot of respect for people who are able to learn without following the conventional route. What changes a lot is maturity, knowing why you are here is very important. You have to be clear about your mission in the company. In OneRagtime we like to open the doors to other people. 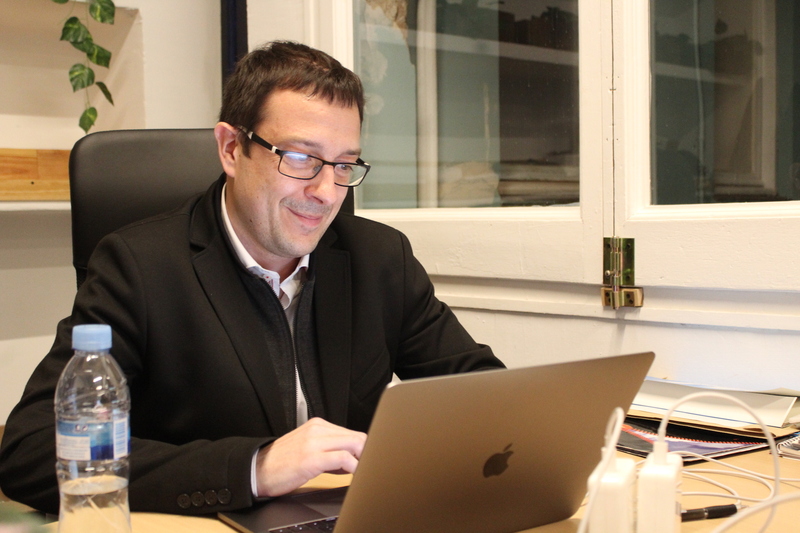 Josep Solé, Chief Operations Officer, explains what OneRagtime is and what the difference is. OneRagtime applies a model that we call “VC as a platform”; we understand that in VC, technological disruption is going to come from the platform model. Put simply, we are a Crowdequity platform. 1. Our investment platform: we create investment vehicles that bring different types of investors together (multinational, individual…) under the OneRagtime umbrella, with great flexibility because we allow each investor to choose exactly where they want to put their money (vs. the classic VC model). All of this is possible thanks to the technology. 2. Our advisory: we accompany large multinationals in their digital transformations. What technologies do you work with at OneRagtime? 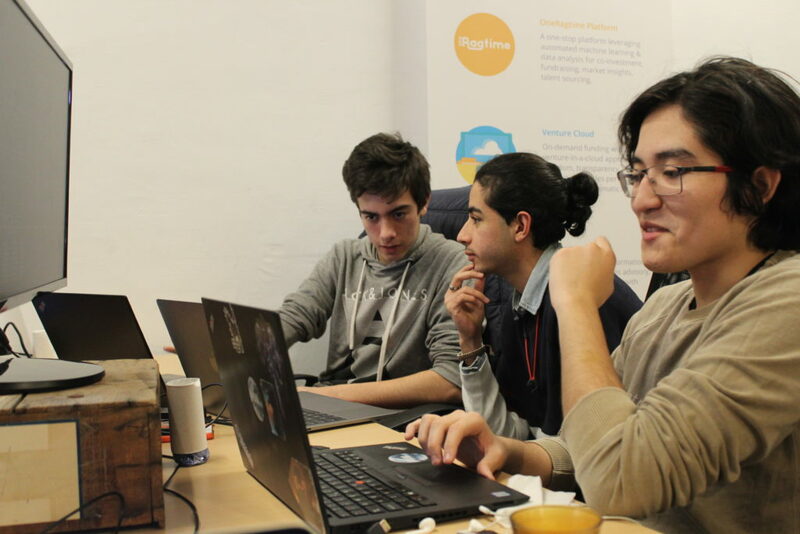 We chose Django because we were looking for a technology that would give us the freedom to create our platform and that would be flexible while allowing us to capture talent (enough people who work with those technologies to be able to expand our team). Do you work in Agile? Yes, especially in project management. We use Jira, accompanied by Slack for our daily exchanges. Do you think it has value? Yes, of course. When you come from the corporate world you realise that in these environments you often can’t see the wood for the trees. We could see that big corporations have everything so structured that they get lost in the process rather than focusing on the objective. Using Agile, we break that way of working so that we can make decisions on a weekly basis, allowing us to shift according to our priorities and not take five or seven months to launch something. In addition to this, the Agile methodology combines very well with our millennial philosophy, since it gives our team the space to be able to make decisions and advance quickly. 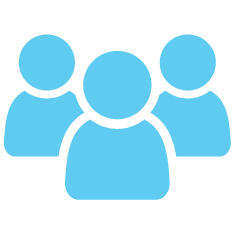 What is the technical profile of your employees? We are lovers of “rare pearls”, we like people who have done everything. We believe in mixed profiles. People with a tech background but another skill too, because it brings a lot of value, e.g. designer-developer, mechanical-engineer lawyer… hybrid profiles. We also strongly believe in diversity: nationalities, international profiles, cultures, languages… and what can never be missing is English. International experience is also a plus. The experience of having worked abroad contributes a lot because it allows for greater interaction and opens minds when it comes to working together as a team. What is the most in-demand profile/The profile of the future? The perfect mix. Mixed, international profiles, with knowledge of different cultures, who are multidisciplinary and of course work with empathy and expertise within a team. At a technical level, you must master the technology; learning how to program is the basic level, understanding the logic behind it is what is interesting. And without fear of pushing or asking questions. Would you like to work at OneRagtime? If everything you’ve read has appealed to you and you imagine yourself working in an innovative company like OneRagtime, stop dreaming and apply to one of their vacancies. They’re hiring!